Racing events have been extremely popular even before the invention of the automobile. 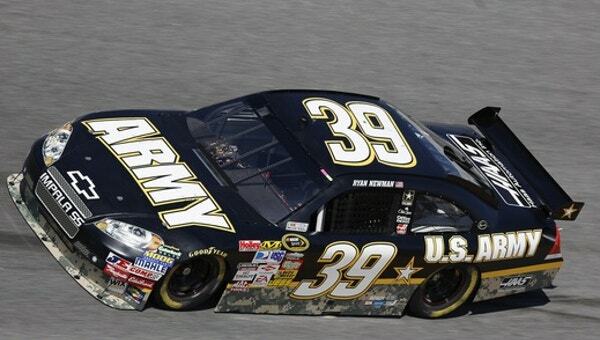 Races have evolved from being just competitions to high profile social events. 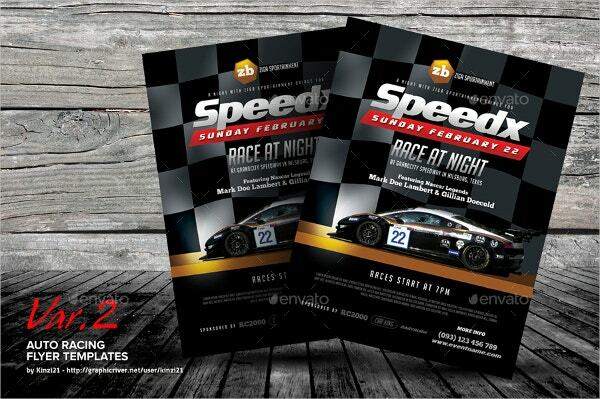 Racing flyer designs are a very handy and useful way to promote these events. They can be printed and manually distributed, stuck at various places to get people’s attention and can be even spread on social media or various platforms which provide huge outreach. 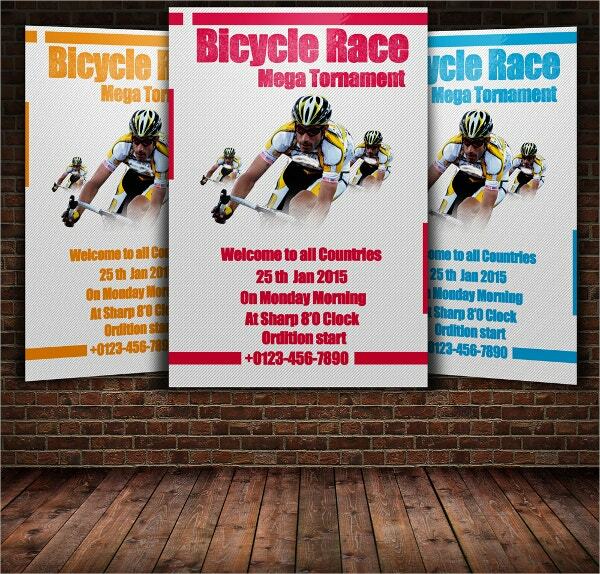 flyer templates can be easily used to create racing flyers for particular races. 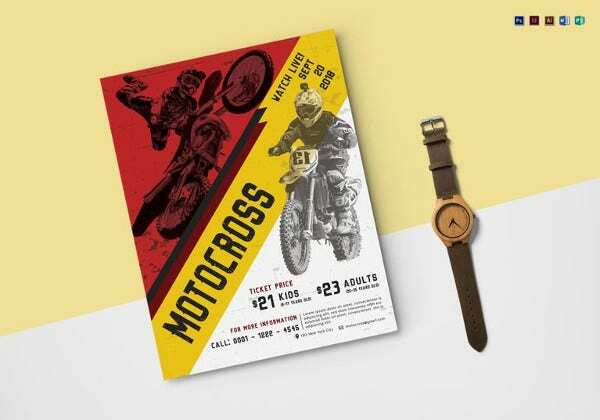 This is a very well designed flyer template which comes in 4*6 inch size with 0.25 inch bleed area and has CMYK colour mode and 300DPI resolution. It can be easily edited and customised, and has font download link for Mvsans, babas neue, Gobold and Centabel fonts. You can also see School Flyer Templates. 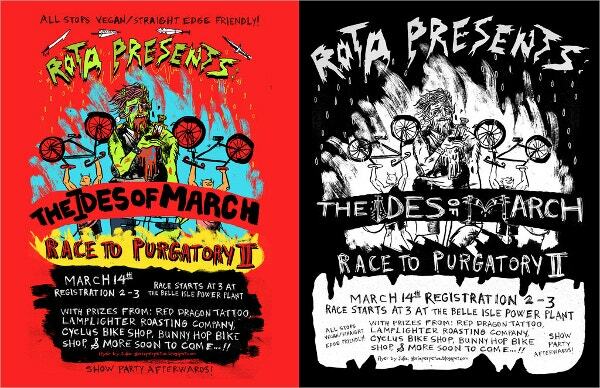 This is a very attractive racing flyer template for bike races. It comes in CMYK colour mode with 300 DPI Resolution. It comes in a size of 210”*297” with 0.25” bleed in each side. It includes 3 colours, free fonts (exo and roboto), editable text layers and smart object layers for replacing photos. You can alos see Social Media Flyers. 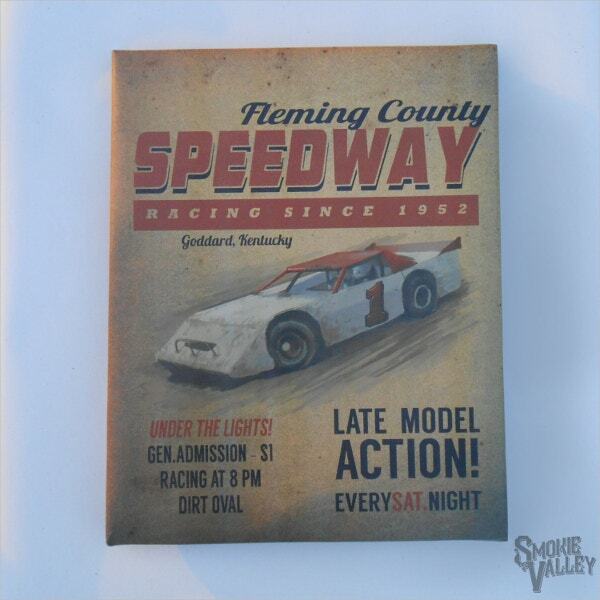 This is a very enticing racing flyer template with a vintage look to give a feeling of “old school” or nostalgia. It comes in the size 16*20 and just needs to be provided with the track name, town and year for the flyer to be prepared. 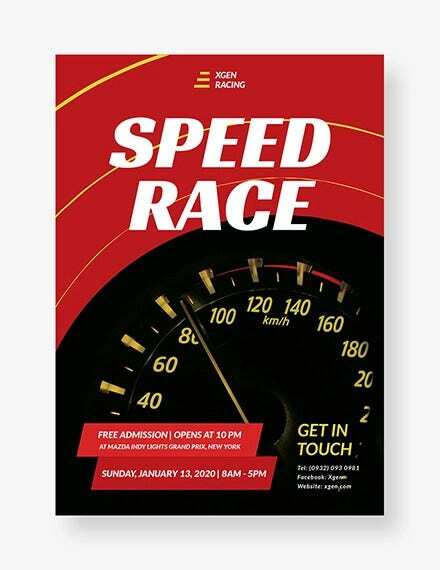 This well designed racing flyer template can be very useful for promoting auto races. It is available in 3 designs, all in the print size of 8.5*11 inches with 0.125 inches bleed size, CMYK colour mode with 300 DPI resolution and is editable using Adobe Photoshop CS3. It is available with Chunk Five, Infinite Justice and Big Noodle Titling fonts. 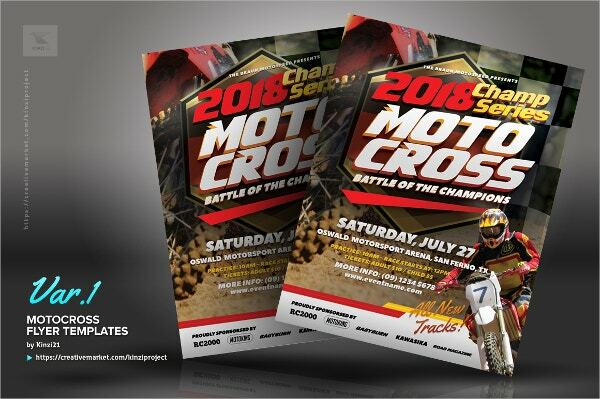 This beautiful racing flyer template can be very useful for a motocross championship. It is available in US Letter (8.5*11 inches) and A4 (8.26*11.69 inches) size with 0.125 inches bleed area, CMYK colour mode, 300 DPI resolution and is editable using Adobe Photoshop CS3 or higher. Yellowtail, Peace Sans, Chunk Five, Infinite Justice and Big Noodle Titling fonts are available. 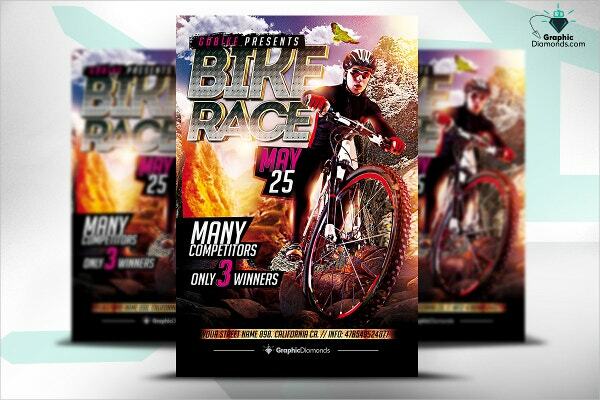 This beautifully designed racing flyer template can be used for promoting bike races for amateurs. It comes in Intro and Big Noodle Titling fonts and can be edited using Adobe Photoshop. It has an organised and coloured layer structure and comes in 300 DPI resolution. 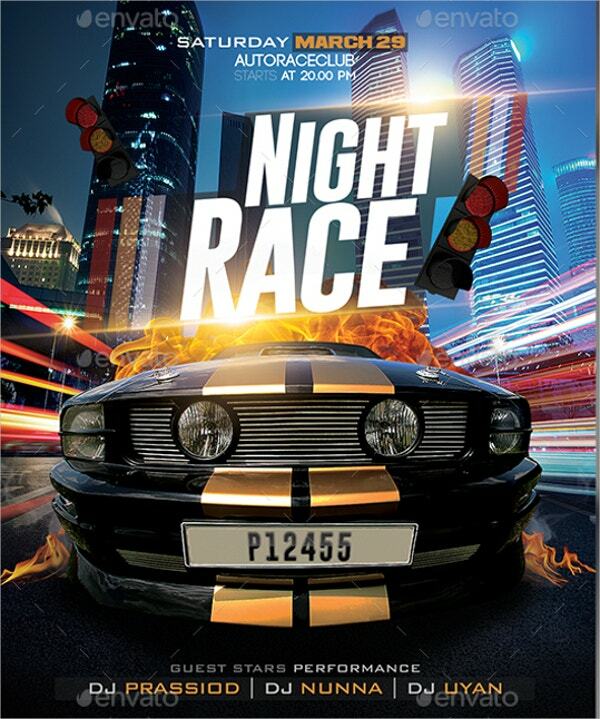 This creative racing flyer template is useful for promoting races taking place during the night. It comes in 4*6 inch size with 0.25 inch bleed area, CMYK colour mode and 300DPI resolution and can be easily edited and customized. It comes in Ash, bebas neue, bank ghotic, Code and Gobold fonts. 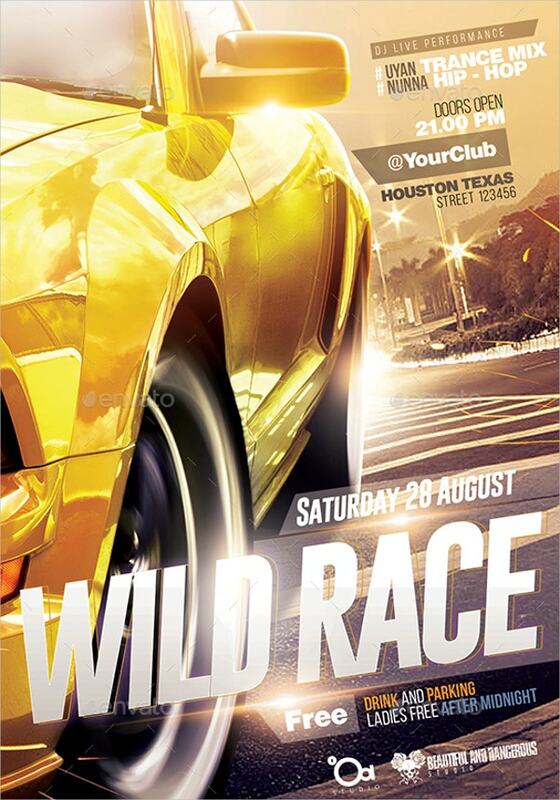 It is a highly alluring racing flyer template and can come handy in promoting amateur as well as professional races. It comes in CMYK colour mode, 300 DPI Resolution and a size of 210”*297” with 0.25” bleed in each side. It includes 3 colours, free fonts (exo and roboto), editable text layers and smart object layers for replacing photos. 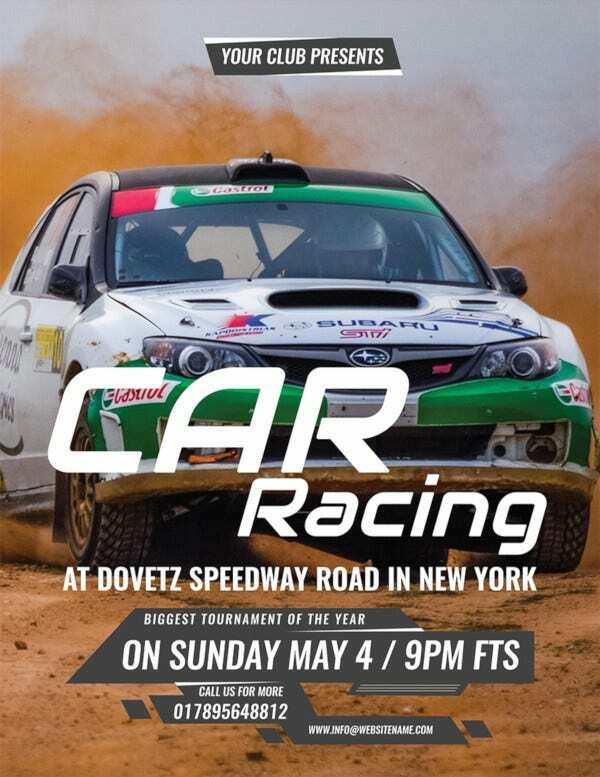 These amazingly designed racing flyer templates are perfect if one needs to promote a professional racing event on the levels of formula one. It is fully bleeded, comes in 2 colours and has a size of 8.5*11inches and 0.25 inches bleed area. It has CMYK colour mode with 300DPI resolution and is fully editable. 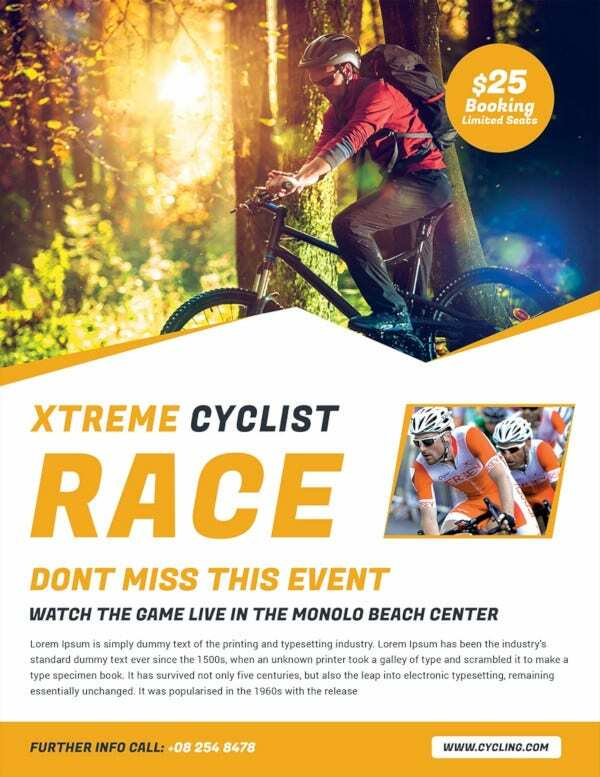 If one needs to conduct a bike race on an international level, this unique racing flyer template will come in very handy. It comes in a size of 210”*297” with 0.25” bleed in each side, has CMYK colour design and 300DPI resolution and is easily editable and customisable. It comes in Impact Label font. 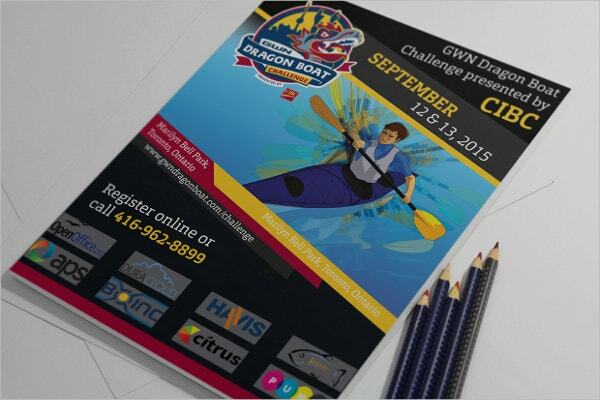 This is a very elegant racing flyer template which can be used for racing dragon boats or kayaks. It can accommodate details of events along with the names of sponsors. It comes in A4 (8.26*11.69 inches) size. 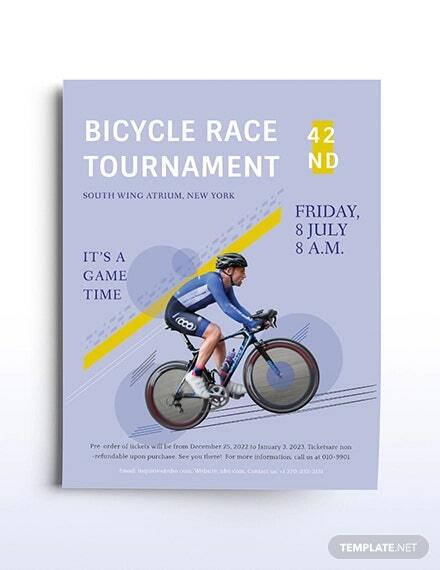 If one wants to organize a bicycle race as a celebration of a particular event, this racing flyer template is the perfect choice. It comes in vivid colours as well as in black and white. 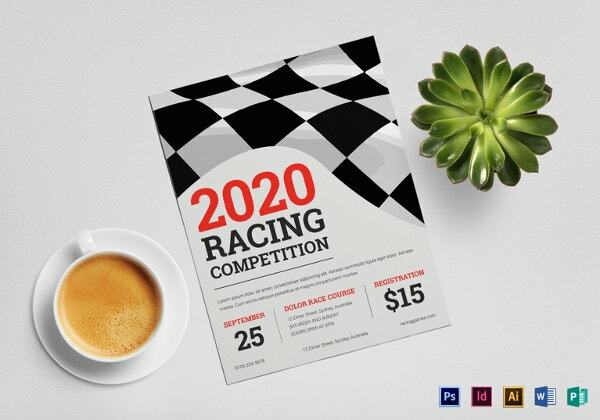 This extremely beautifully designed racing flyer template is sure to attract karting enthusiasts. 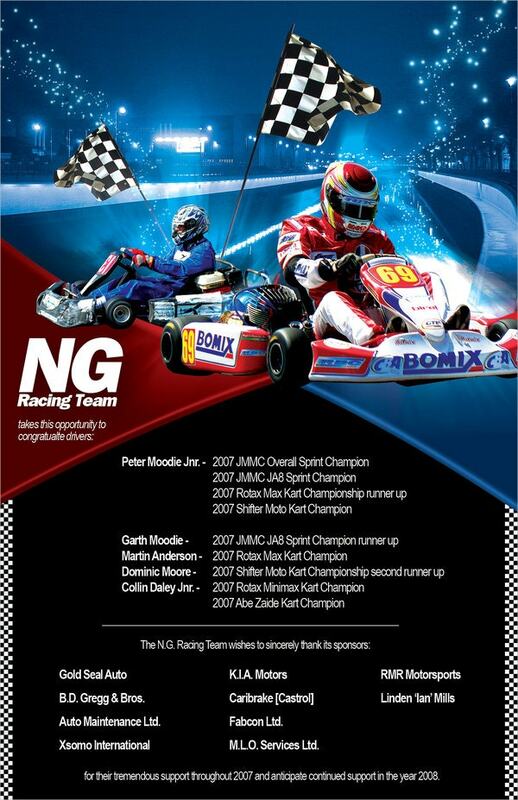 If one plans to organise a karting race then this is the perfect template to create a flyer about it. You can also see Chalkboard Flyers. 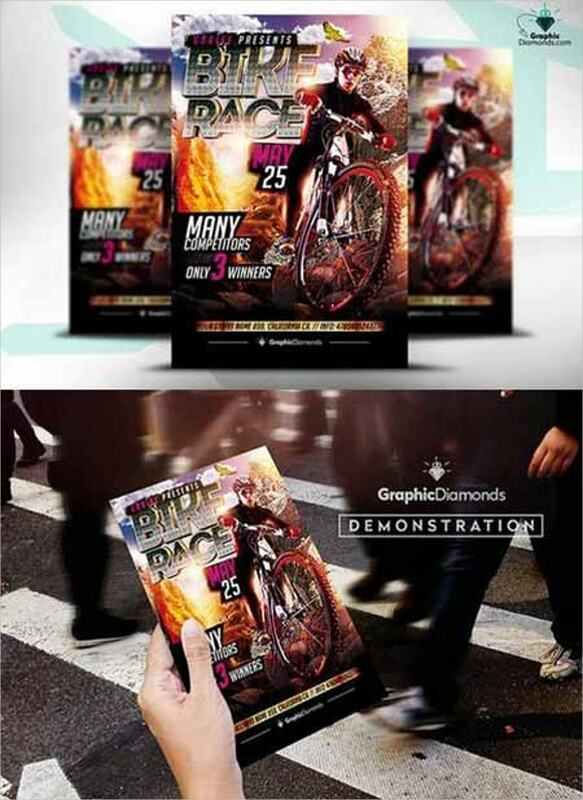 For a wide variety of races of cars, motorcycles, bicycles, carts, boats, etc, these flyer templates are sure to attract a huge crowd. 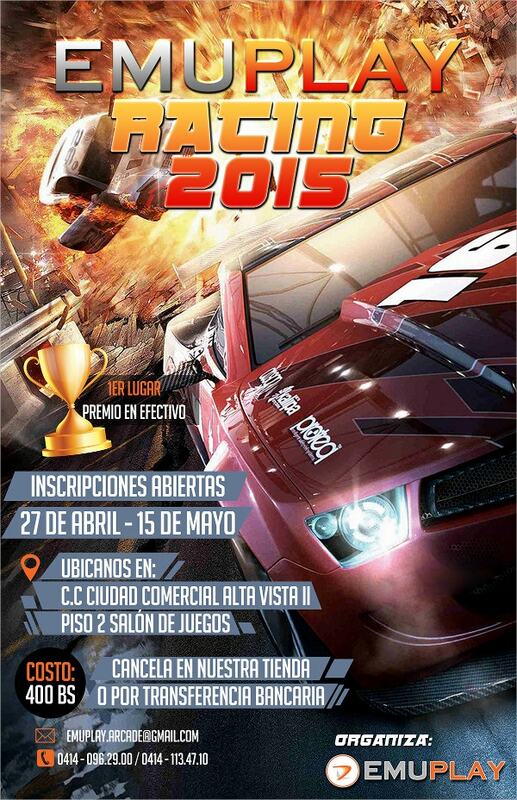 Car show flyers will surely help a lot in publicizing the events. 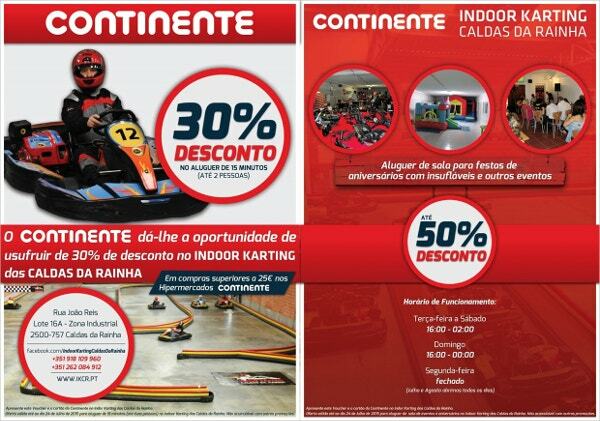 These flyers will definitely boost the attendance and participation in the races. Go through them and choose the best that fits your need.